You are here: Home / Parenting Blog at KidsAintCheap / Money and Finances / Loans for Stay-at-Home Moms – What Are Your Options? Borrowing money is as commonplace in today’s economy as choosing your next meal. Many use it in daily life – whether it’s choosing a vehicle, a college, or a purse. But is it healthy? Also, do loans for stay-at-home moms even exist? Let’s take a look at your options in today’s article. I used debt regularly the moment I reached adulthood. My entire effort was to ultimately raise my credit score. However, my focus on debt became one of my biggest stumbling blocks for becoming a stay-at-home mom, years later. I honestly didn’t think I’d ever make it. I’m not saying you can’t ever use debt, but I want you to know what my experience taught me. Also, as a financial coach since 2013, I’ve seen the underbelly of loans and debt. So let’s take a look at when it might make sense to borrow money and when it might not. Can Stay-at-Home Moms Borrow Money? Find a lender who will consider your household income. Even with my decent credit score, lenders weren’t remotely interested in loaning me the money for our first house until they saw my husband’s full-time income. If you’re a stay-at-home mom, then you’re already living off someone else’s paycheck – likely your spouse’s. It’s best to go forward with any major financial decisions – particularly debt – together. Apply for a credit card with 0% interest. Try to find one that promises no interest for at least 12 months or more and read the fine print! You will still need to declare your household income to be approved, but this will likely give you a lengthier time to repay a debt (i.e. medical bill or personal debt). Ask about collateral. If your name is on something of value (i.e. a vehicle), you may be able to use it for a loan. Most importantly, make a clear plan for your budget to pay this debt off as quickly as possible! The average household has $16,748 in credit card debt. So many families let that final step slide and become buried. That doesn’t have to be you! Medical Payment Plans – Perhaps you’re an at-home parent facing a medical procedure that’s more than you have available. The billing company often provides structured payment plans allowing you to pay off that debt over time. Adjust your standard of living. If you’re used to buying nicer decor, vehicles, clothing, and vacations and placing them all on credit, then it’s likely snipping the card won’t be the only important step. You may need to reduce your clothing budget, take a staycation, or live with your current decor longer than normal. Create a sinking fund. This was a big one for us. Sure, it’s easy to say we’ll pay for things in cash, but putting in the actual work is difficult. For example, one day, you’re going to open your refrigerator and it’s going to feel like warm, sunny day instead of the icy Arctic. That’s an expensive fix, but also an inevitable one. By placing chunks of money into a savings account every month, you’re preparing for the cost of keeping that food cold again one day. Build an emergency fund. Contrary to the sinking fund, the emergency fund is there for the big, ugly, unexpected moments. Your transmission may decide to self-destruct. Tragedy may strike an out-of-town friend or relative. You’ll want the funds ready to transport you quickly to your destination. An emergency fund has prevented my husband and me from going into debt, time and time AND TIME again. 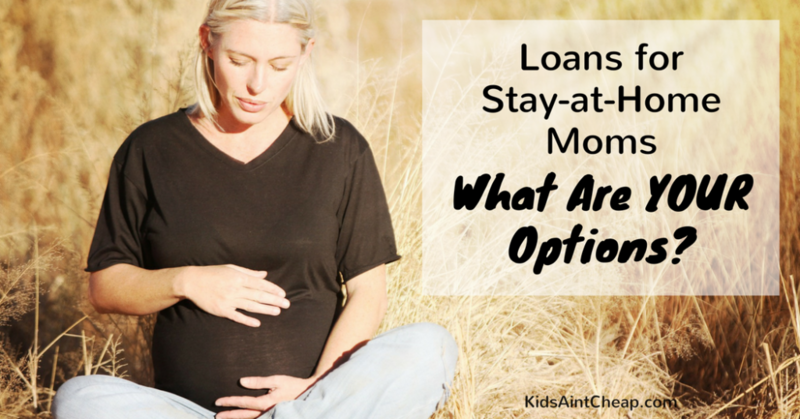 Knowing your options is one of your most powerful tools in your financial toolbox. If you’re more inclined to choose a debt-free route for your family’s finances in the future but aren’t sure where to begin, I’ve created a financial roadmap for us moms just for that reason. 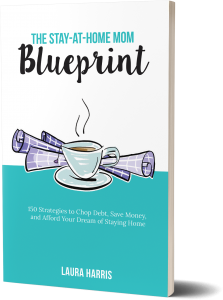 “The Stay-at-Home Mom Blueprint” is an eBook designed to help anyone seeking the steps to financial freedom to spend more time with their family. 150 strategies to slice debt, save money, communicate in healthy ways with your spouse, sell your household goods, earn a side income from home, and successfully develop a budget. My story of overcoming debt and sloppy spending to become debt-free and achieve my dream of staying home. Dozens of additional resources to equip you on your financial journey. Ready to take a closer look at “The Stay-at-Home Mom Blueprint”? Click here for more info. Join the Discussion: Do you believe debt is a useful tool to be used in daily life or as infrequently as possible? Do you land somewhere in the middle? Share your perspective in the comments below! Looking for more stay-at-home mom resources? We’ve got you covered!